Dr. Yeo Sek Wee completed his undergraduate medical training at the The Royal College of Surgeons in Ireland in 1993 and after completing his Housemanship at Our Lady of Lourdes Hospital in Drogheda, Ireland, he gained full registration with the Irish Medical Council. He worked as a Senior House Officer in Ear, Nose & Throat surgery at the Royal Victoria Eye and Ear Hospital in Dublin before gaining entry to the Irish Higher Surgical Training in Otolaryngology / Head & Neck Reconstructive surgery from 1995 to 2000. Upon completion of his post-graduate training in Otolaryngology, he obtained his post-graduate degree in General Surgery and Otolaryngology both from the Royal College of Surgeons in Ireland in 1999. 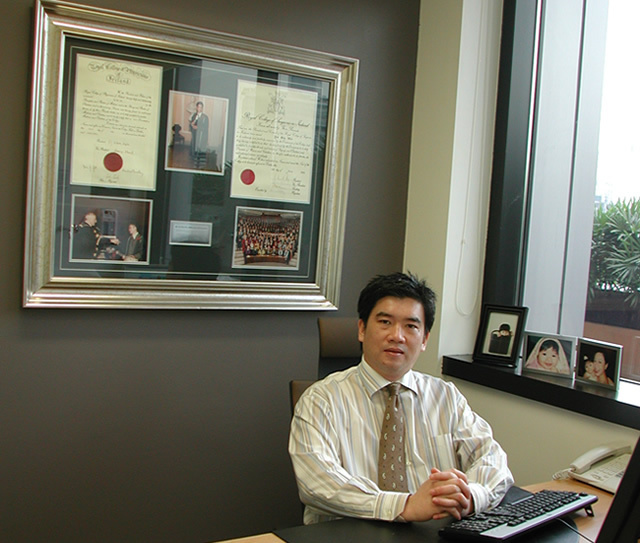 Dr. Yeo left Ireland in 2000 to undergo advanced training to sub-specialize in Head & Neck Surgery and Rhinology at Monash Medical Centre, Australia under the mentorship of Dr. Neil Vallance, Chairman of the Board of The Australian Society of Otolaryngology / Head & Neck Society. With the announcement of the 2001 Budget in Malaysia designed to create a Malaysian world class workforce and to encourage Malaysian citizens with expertise in selected fields to return to Malaysia, Dr. Yeo decided to return to Malaysia and he worked as a Specialist Lecturer at the National University Hospital (Hospital Universiti Kebangsaan Malaysia) from 2005 to 2008. Upon his return to Malaysia, he became a member of the Academy of Medicine, Malaysia in 2007, and was duly entered into the Academy's roll of National Specialists and awarded Certificates of Specialist Registration in Otolaryngology(ENT) by the Ministry of Health(MOH) and Ministry of Education. 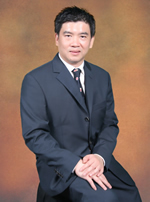 Dr. Yeo has extensive experience working in various ENT hospitals in Ireland, Australia and Malaysia. He is grateful to all the colleagues he has worked with during his nine years of excellent postgraduate training in ENT- including over 30 individual consultants in nine busy departments. This gave him broad clinical experience and a sound basis for further professional development. He has been in independent practice since 2004, and has built on this foundation a wealth of clinical experience and judgement, learned mostly from his patients, to whom he is most grateful for entrusting him with their lives and wellbeing. Dr. Yeo is currently a resident consultant ENT surgeon at Prince Court Medical Centre, Jalan Kia Peng and a visiting ENT consultant at Gleneagles Kuala Lumpur.